PRIMARY ELECTIONS: even numbered years. Choose party nominees (national and state) and elect nonpartisan officials (state and county). You need to be a member of the party to choose a party's nominees. GENERAL: November, even numbered years. Elect national and state officials; hold run-off elections, if needed, for nonpartisan offices. CITY: Most Cities: November, even numbered years. Santa Barbara: November, odd numbered years. Elect city officials. SCHOOL: All school districts: November, even numbered years. Elect school district officials. SPECIAL DISTRICTS: November, odd numbered years (some exceptions). Elect members of special district boards. SPECIAL ELECTIONS: Fill vacancy, recall, decide on bond issues or ballot measure. WHEN TO VOTE: On election day, the first Tuesday in November, Polls are open from 7 A.M. to 8 P.M. According to law, you may, by arrangement with your employer, take up to 2 hours off from work to vote at the beginning or end of your shift without loss of pay. 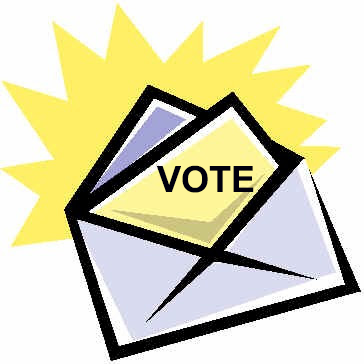 VOTING BY MAIL: Any voter may request a Vote-by-Mail ballot ("absentee ballot") for one election or permanently. You don't need a medical excuse, nor do you need to be out of town on Election Day to utilize this service. You may mail in your "VBM" ballot, bring it in to a County Elections office, or bring it to the polls. More information here on the procedure, deadlines, and special situations. It's Time to Sign up, Get Ready, and Vote! Help is here-at all the public libraries in our region! It is available on ONE DAY – National Voter Registration Day. That is Tuesday, September 25. Our Santa Barbara region is joining thousands of sites across the US to get us all ready to vote. We want every citizen to have that chance to choose who and what will govern us. In every election, non-voters can have a huge impact on the results. Don’t be a non-voter! The Public Libraries and the League of Women Voters have partnered to offer help to register and to get ready to vote on September 25. Our participating libraries are: Goleta, SB Central, Eastside, Montecito, Carpinteria, Buellton and Solvang. Plus Carpinteria Albertsons! The Housing Authority of City of SB is also having a Voting Registration and Preparation Party that day for residents at Presidio Springs Community Center, on Laguna Street, from 4 to 6 pm. We will be electing our Representative in Congress - in the US House, our senator in the US Senate and our California Governor, among others, on Election Day, November 6. You don’t have to vote on everything on the ballot! Pick your candidates and your issues and vote on those! Read Your Voter Information Guides from CA and from SB County for info in October. Practice on your sample ballot in the Guide. Get registered, then vote on your official ballot. Register to vote! TO CHECK YOUR CURRENT voter registration, go online to: VoterStatus.sos.ca.gov. REGISTER AGAIN IF you have moved, or if you have changed your name. You can go to RegistertoVote.ca.gov to register online. Also Pre-Register at 16-17 and then Vote at 18. If you are already registered, great! Would you please help us Get Out the Vote???!!! Here is how to help: Come to the library to Pledge to Vote or to pick up stickers that say I WILL VOTE. These are for yourself and your nonvoting friends. These things can make us more likely to vote! In the June Primary Election, fewer than half the registered voters in SB County actually voted! So - Vote for people with your values and strengthen our Community. Research Your Choice, Find Your Voice!